Bumble & bumble first engaged with Perch to create a stunning brand piece at their flagship salon, House of Bumble. 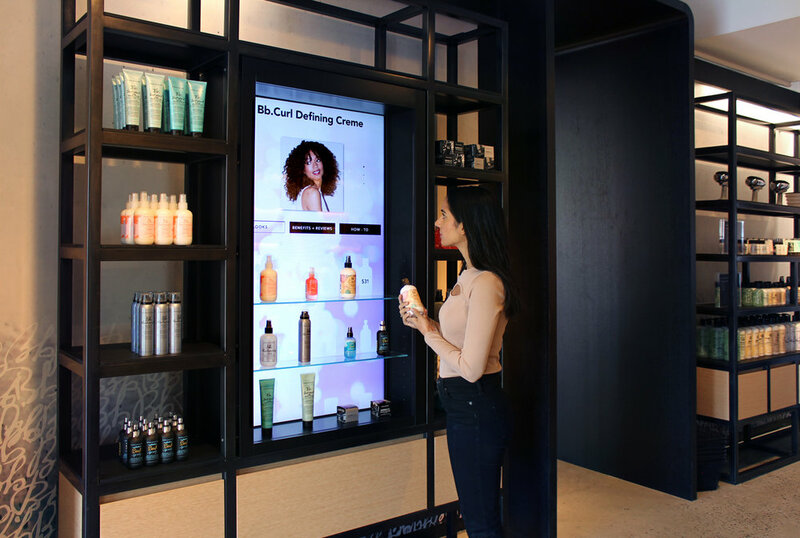 The moment a customer touches a product, the interactive display responds with look books, benefits and reviews and "How To" videos, making Perch a center for product education and engagement. 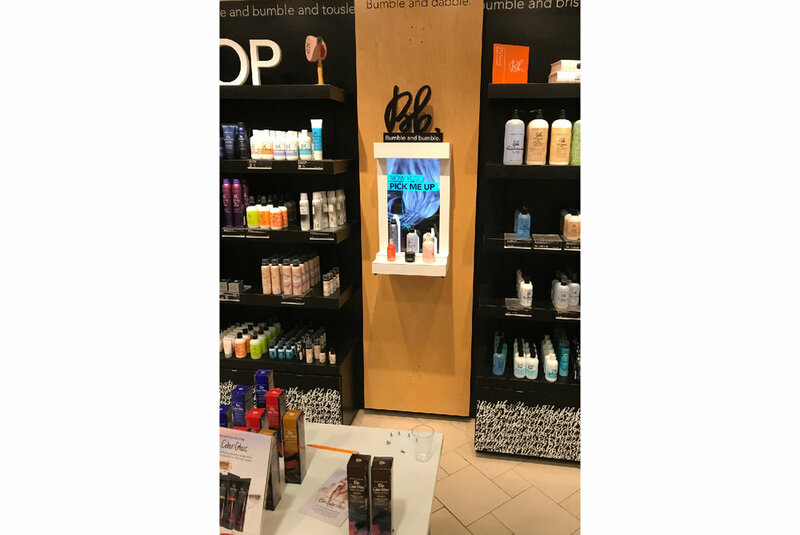 Bumble and bumble then seized the opportunity to bring a similar experience into their network of salons, utilizing a small 24" screen unit that is highly portable and could be placed on shelves, cabinets or directly on walls. The result is highly engaging product experiences in a captive consumer environment that is hard to reach. Salons love it because it's a point of differentiation, stylists love it because it helps them teach customers how to maintain their hair and customers love it because they learn and engage in a natural setting at the critical point of selection.